If you have reviewed partnership agreements or operating agreements for an LLC you have probably read provisions relating to Minimum Gain Chargeback. That being said, the Minimum Gain Chargeback provisions may have put you to sleep, and may not even be practical based upon the facts and circumstances of the partnership. However, Minimum Gain Chargeback provisions are important to understand if in fact they were to apply to your situation and circumstances. The article below has been prepared by a tax attorney and business attorney from The McGuire Law Firm to provide an explanation of Minimum Gain Chargeback. Minimum Gain Chargeback provisions deal with non-recourse debt and the allocations of non-recourse debt. Such provisions are mandatory if the partnership wishes to allocate non-recourse deductions to the partners in any manner other than per the member’s pro-rata portion of capital interest in the partnership. Therefore, it is important to identify when a Minimum Gain may be realized. Minimum Gain occurs when deductions are claimed on property that decrease the partnership’s book basis in the property below the actual balance of the non-recourse debt on the property. A situation whereby you may see Minimum Gain is when property is depreciated. The depreciation will drive the partnership’s book basis of the property below the amount of the loan on the property. When a partnership does have Minimum Gain, the Minimum Gain Chargeback is an allocation of the gain to the partners or members who have received the benefit of non-recourse deductions, or who may have received distributions from the partnership that can be attributed to the non-recourse loan. In short, if a partner has received a benefit from the depreciation of property whereby they did not bear the economic risk of the loan to acquire the property (because the debt was non-recourse and not personally guaranteed), the benefit can be “charged back” to the partner. So when does the “charge back” occur? The deductions or distributions taken by the partners are charged back when the property that was subject to the non-recourse debt is sold, transferred or otherwise disposed of, or when there is a change in the character of the non-recourse debt. A change in the character of the non-recourse debt could be the debt converted to a recourse liability or the debt being forgiven. Now, the million dollar question: What is the amount of the charge back? The partnership’s minimum gain is generally going to be the excess of the non-recourse liabilities over the adjusted tax basis of the property subject to or securing the non-recourse debt. Perhaps an example will help illustrate this. Assume J&J, LLC had purchased property for $200,000 and took $100,000 in depreciation on such property. Thereafter, J&J LLC obtain non-recourse financing of $250,000. The minimum gain would be $150,000, which is the non-recourse debt of $250,000 less the adjusted basis of $100,000. It is important to remember that a partner is not subject to a charge back for monies they contribute to repay a non-recourse debt, and it is possible for the partnership to request a waiver of the chargeback under certain circumstances. John McGuire is a tax attorney at The McGuire Law Firm whose practice focuses primarily on tax matters before the IRS, business transactions and tax issues as they apply to his individual and business clients. In addition to his law degree, John holds an advanced degree in taxation (LL.M.). Please feel free to contact John with any questions. 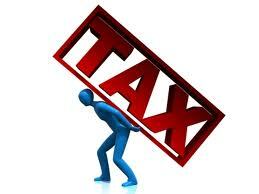 Tax Matters Related to the Transfer of Property Through Divorce How is my Settlement Taxed?